As I’ve stated before I rarely ever eat breakfast but I do make it every single day for my husband and son. While they chow down on eggs and sausage, I am usually going over emails and checking in on social media while sipping on a cup of mocha; that’s the extent to my breakfast, some days I add fruit if I’m extra hungry. Lately my husband has been on a health kick and has asked me to prepare healthier foods so I started switching things up a bit by adding egg white omelets, yogurt, fruit and granola bowl and smoothie to his breakfast routine. He requested a high protein shake but he’s not a fan of powdered protein, so I used Chobani Greek Yogurt since it’s higher in protein than regular yogurt and has 40% less sugar; this is perfect because I use ripe fruits which will typically sweeten the shake. 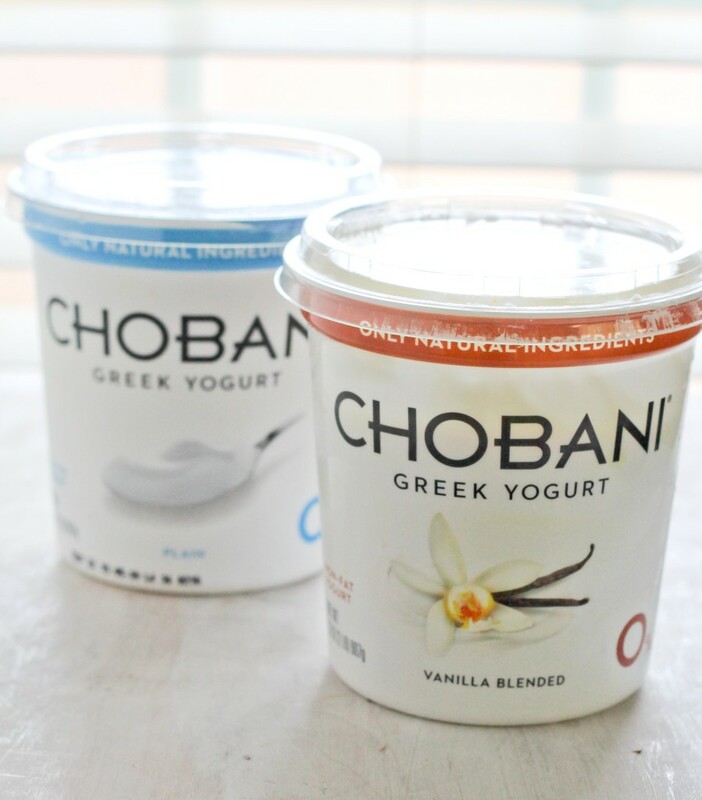 I picked up 2 tubs of greek yogurt at Krogers, vanilla and plain, because I love how versatile those flavors are. It is also all natural and not genetically modified. I wanted to make a shake that was heavy enough to replace breakfast so I added oats to the mixture which I was a bit skeptical about but it worked beautifully and the oats add a slightly nutty flavor. Another ingredient that I sneaked into his shake was turmeric! Yes, the same turmeric that’s used in curry and savory dishes. 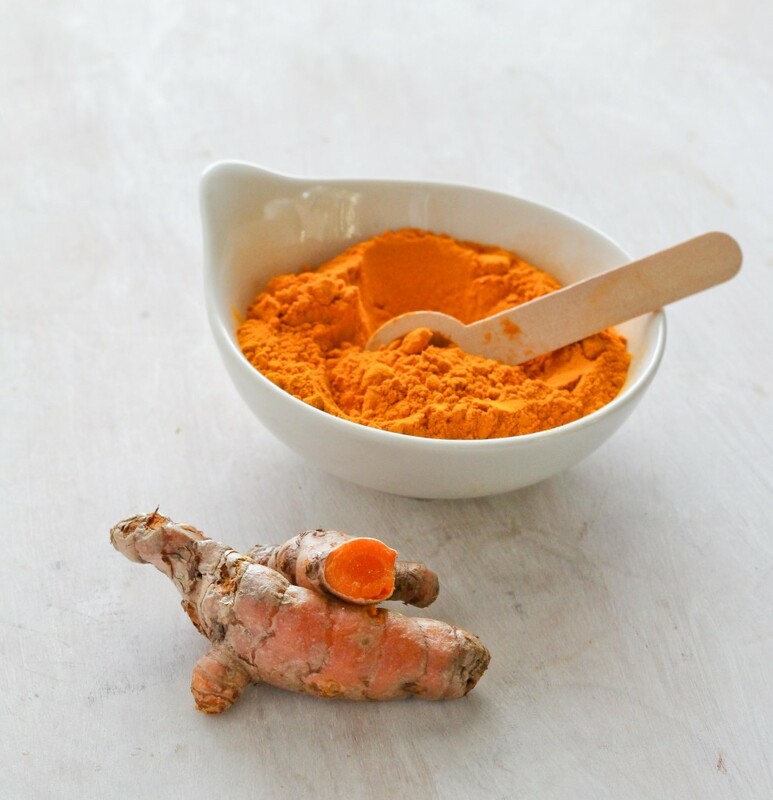 Turmeric is an anti-inflammatory and has many health benefits such as taming heart burn and stomach issues; it’s a win win! It also adds to the beautiful color of this smoothie! Powdered or fresh can be used in this recipe; I went with the fresh turmeric. 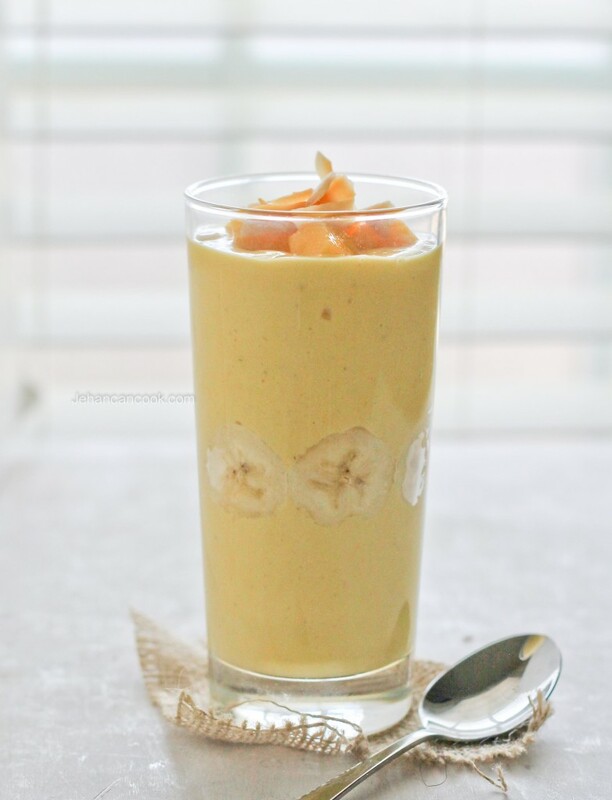 Ripe mango and banana added even more body and flavor to create a thick smoothie; you will need a spoon for this one. Pour it in a bowl and add more fruit and toasted coconut flakes for a hefty breakfast. 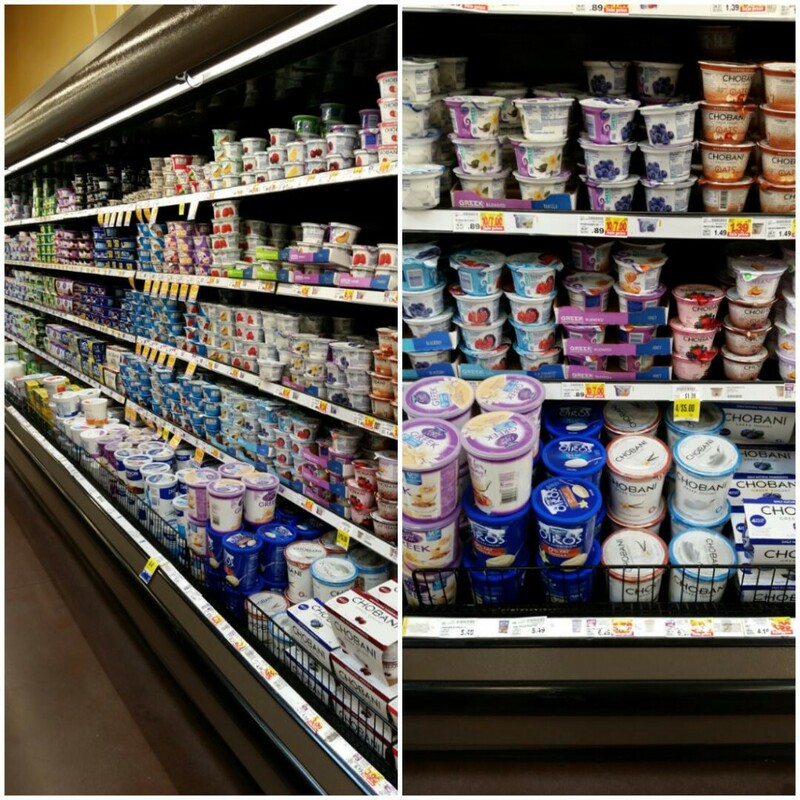 Be sure to check out your local Kroger Family of Stores September 4-6th for delicious Chobani demos in-store. What is your favorite smoothie recipe? Go here for inspirtation! Place the oats into the blender and blend to a fine powder. 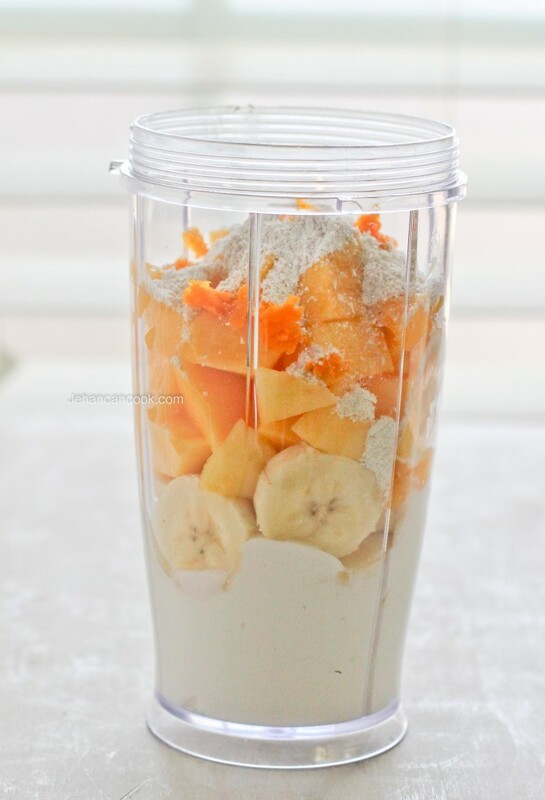 Add yogurt, turmeric, banana and ripe mango and blend until smooth. 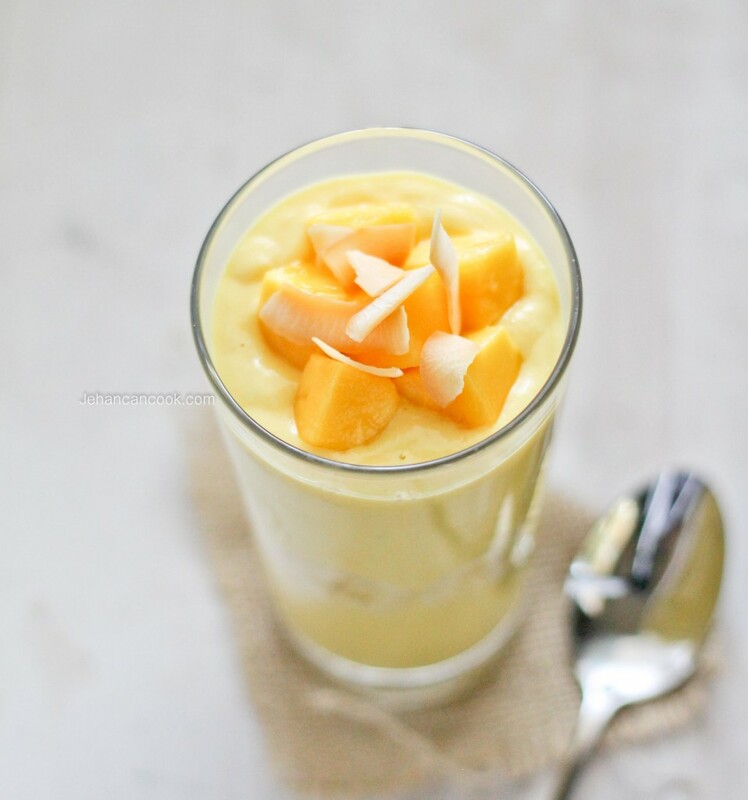 Honey is optional as the ripe mangoes add enough sweetness. Adjust according to your personal preference. #BMHPotluck In celebration of Black History Month I’m participating in a virtual potluck up with a great group of food bloggers who are all sharing amazing recipes all month long. 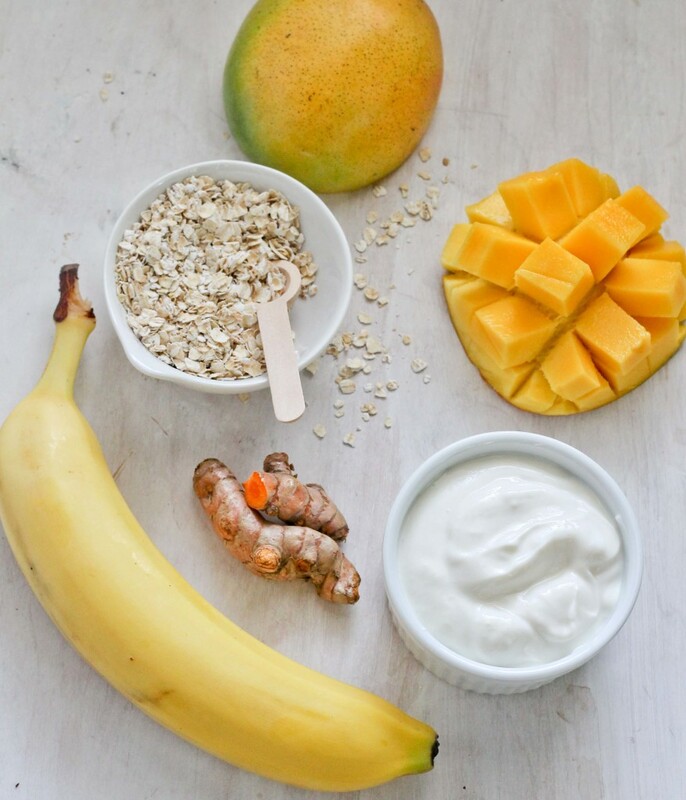 My Mango Turmeric Smoothie will be my contribution; it has two ingredients that are a big part of Guyanese and Caribbean cuisine and that’s mango and turmeric. Turmeric in it’s powdered form is a key ingredient in our curry powder and well mangoes can be found just about everywhere is widely love. Click on the links below some amazing recipe, there’s enough to make a dish for each day of the month! Enjoy! rumana..nice one yarr..one of our favorite bannana chips..the spicy version is new to me..but looks so delicious.if i get that plate,sure i will finish it within seconds..nice color..spicy yummy..
Pingback: Maple Roasted Brussels Sprouts | Eat.Drink.Frolic.